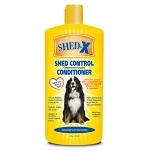 SHED-X™ Shed Control Shampoo was formulated with veterinarians to infuse the skin and coat with essential amino acids, omega 3 & 6 fatty acids, vitamins A, D and E, and antioxidants. 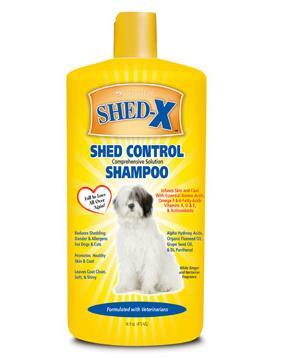 SHED-X™ Shed Control Shampoo reduces shedding, dander and allergens for both dogs and cats. 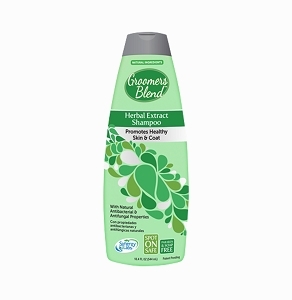 It promotes healthy skin and coat and leaves the coat clean, soft and shiny. Also with alpha hydroxyl acids, organic flaxseed oil, grape seed oil and DL panthenol. With a pleasant white ginger and nectarine fragrance.